Soaps have been there forever now, and we have come a long way from basic blocks of soaps to fancy, transparent, handmade, Ayurvedic and customized variants. While we have other variants like face wash, cleansers, scrubs, etc. we still cannot eliminate soaps from our lives. It’s just easy to reach out for in the shower, and easier when you can use it on your face and body. Apart from the regular soaps, there are some specifically formulated for sensitive and oily skin. And, that’s what we will talk about today. Let’s check out some of the best soaps available for oily skin. Soaps that are preferably made from natural, organic and pure ingredients are best for oily skin. Avoid soaps that are loaded with petrochemicals, paraben, etc. 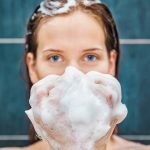 Look for soaps made of ingredients that are either antibacterial, anti fungal or anti inflammatory, because these are most common problems with oily skin. Clean your face with the same soap at least twice a day considering the pollution and dust we expose ourselves to especially in India. 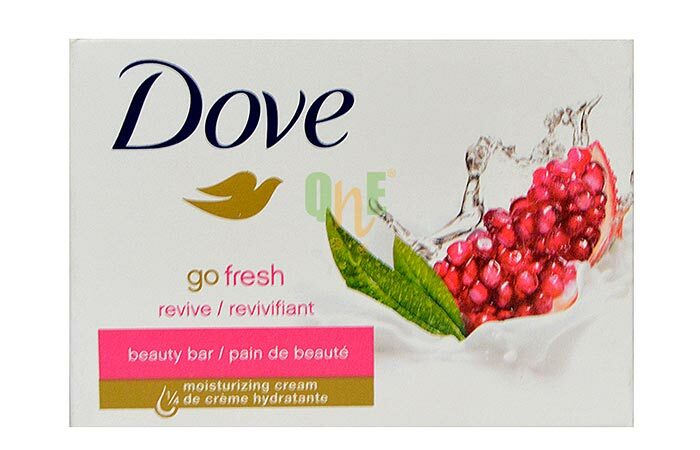 Dove is known for making soaps that are gentle, light and moisturizing – exactly how sensitive and oily skin should be treated. They are enriched with natural ingredients like pomegranate, lemon and other subtle nutrients that have cleansing properties, and that’s why you can use them on hands, body, and face too. A household name that is affordable, available and efficient. Biotique is known for their natural hair and skin care products, and really good ones. If you have used other products from this brand, or not, this is something you should to treat your oily skin issues. This soap is a blend of almond, margosa and coconut oils that are nourishing, and turmeric which is anti-bacterial. Oily skin needs ingredients that are antiseptic and antibacterial as the skin is prone to clogged pores, acne, and blemishes which might cause infections or bleeding. Most dermatologists recommend Pears for it’s a mild soap. This particular product contains glycerin and mint extracts. 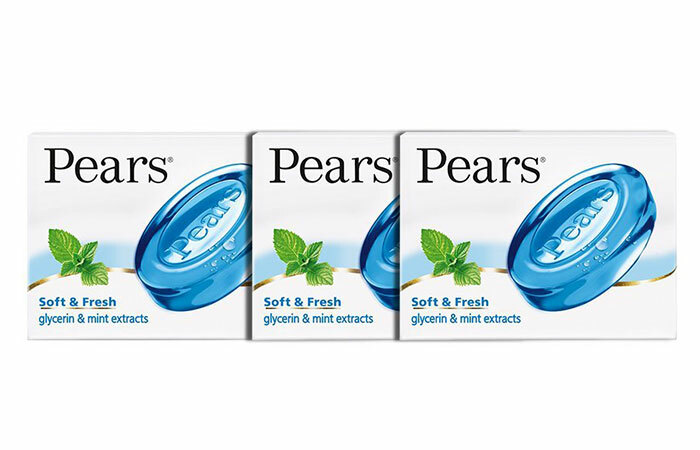 Pears Soft and fresh soap not only moisturizes your skin and keeps it supple but also gives an instant cool freshness. You certainly feel refreshed after using this soap. Like we already know oily skin needs ingredients that are soothing and healing because of all they are prone to—blemishes and infections which is not the case with normal skin. 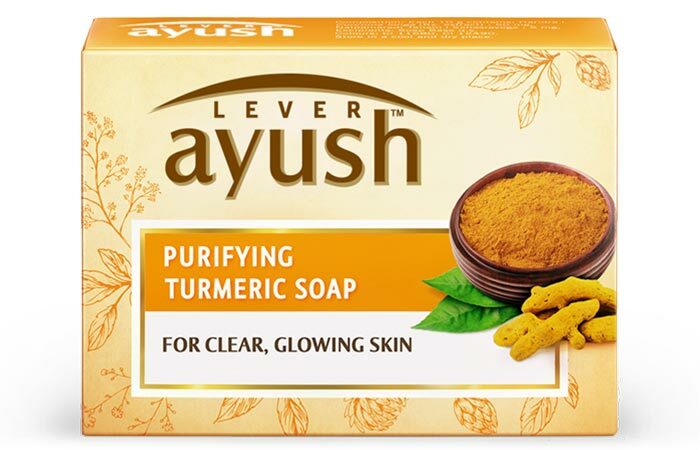 Ayush Purifying Turmeric soap with ancient Ayurvedic formula uses a unique blend of turmeric and Nalpamaradi thailam. We already know the goodness of turmeric, but little do we know about Nalpamaradi thailam. It contains vetiver, peepal, and Amla, that are known to heal any skin infections, rashes, redness or acne. Your skin will be visibly clean and soft. 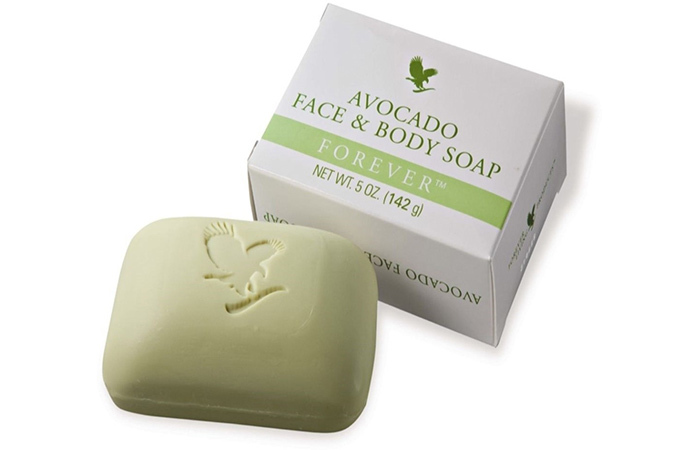 Forever Avocado Face And Body Soap is a one-stop shop for healthy skin. Another brand that makes products by using natural ingredients and brings out their goodness with the right mix. It is made from pure avocado butter that moisturizes your skin while gently cleansing it. It clears your clogged pores and provides relief from the itching etc that comes with the oily skin. 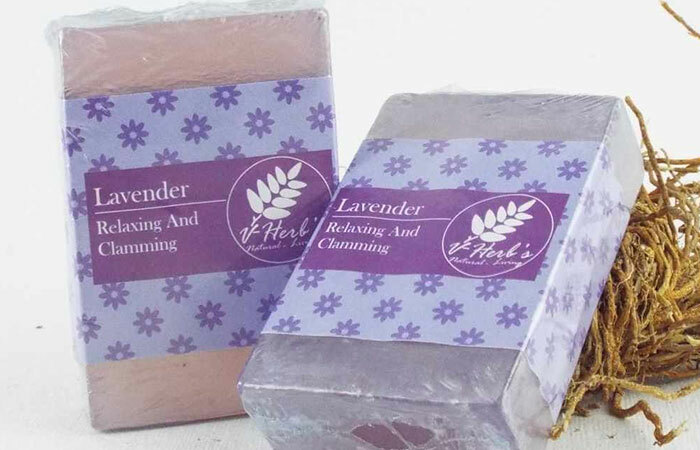 Lavender oil is known for its soothing properties and one of the most extensively used essential oils. It has anti-inflammatory properties that give you relief from acne. Apart from acne, it works to treat problematic skin issues like eczema and the itching that comes with the skin condition. It has other ingredients that are antioxidants too. 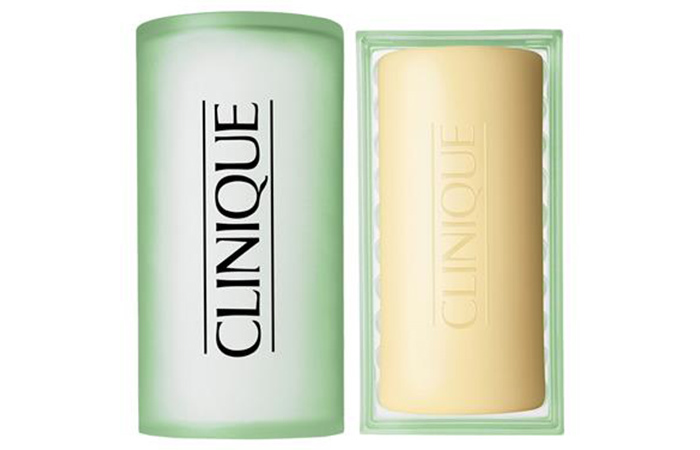 Clinique Facial Soap makes soaps for specific skin types like normal, dry and oily. 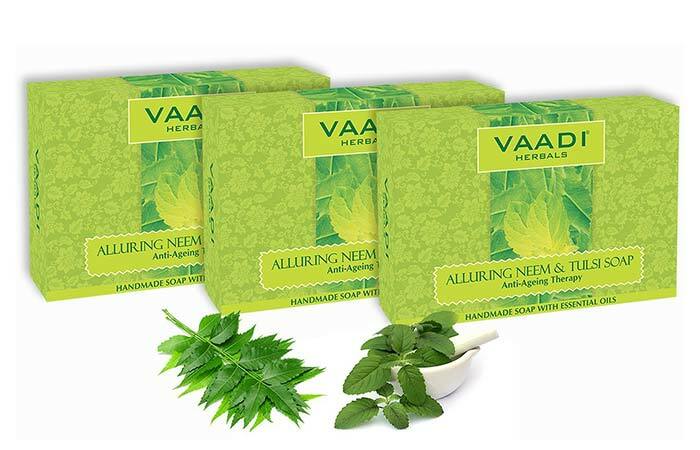 These hand milled soaps cleanse your face gently, remove dust, grime and other impurities that are responsible for premature aging if not tackled at an early stage. They help in maintaining the pH balance of your skin, without making it too dry. You need soaps that are not just moisturizing but also exfoliating to remove dust and dead cell buildup on the surface. It can escalate rapidly into blemishes, acne or infections if not cleansed thoroughly. 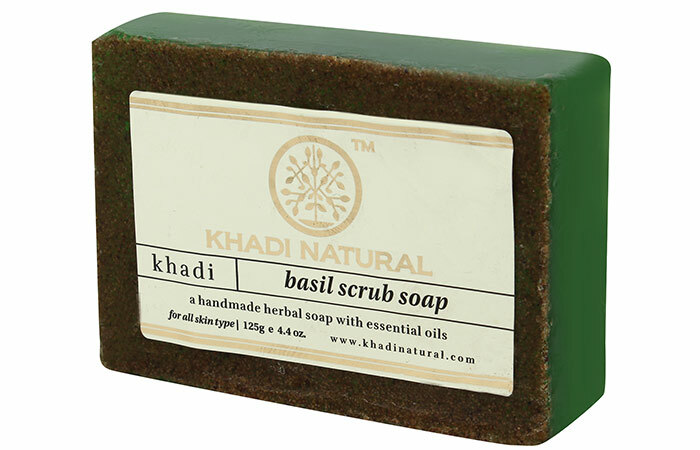 Basil is antibacterial and anti fungal while glycerin keeps you hydrated and moisturized for the longest time. It’s enriched with herbal ingredients like tulsi, Vitamin E, and tea tree oils. It cleanses the skin from deep within and leaves it smooth after every bath. Neem and tulsi have antiseptic properties that protect skin from dirt, germs, blemishes, acne, pimples and other skin problems. It also helps in removing tan. Aloe vera is hydrating while vitamin E offers protection from harmful UV rays, sunburn, and pigmentation. 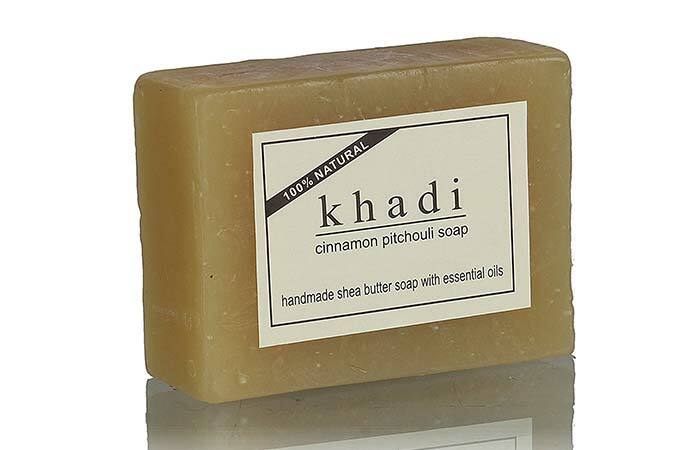 Khadi products are natural and handmade to address specific skin issues, unlike generic soaps. This soap cleanses your face and body completely without leaving either product residues or impurities. Cinnamon gives a cool tinge to your body and leaves you refreshed for a long time. It also has other active natural components like coconut oil, almond oil, shea butter, rice bran oil, wheat germ, and glycerin. 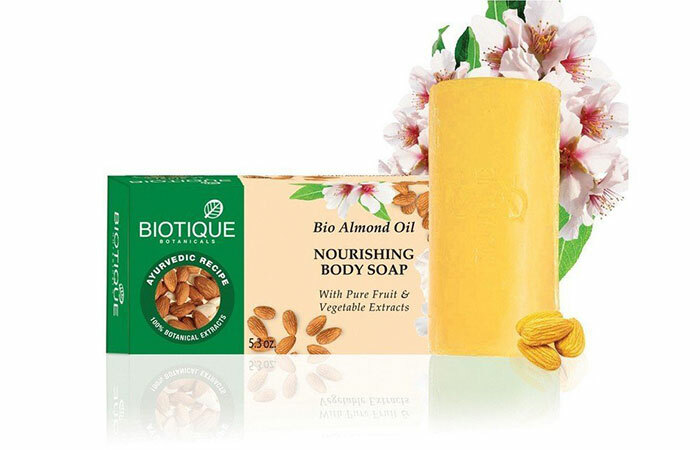 Almond oil controls oil secretion and clears the skin, whereas glycerin moisturizes it from deep within. 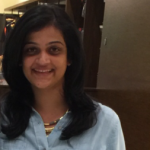 Rice bran oil kills bacteria and coconut oil supplies nutrients to the skin cells. With so many benefits to offer, this is the best soap for oily skin.